Among the oldest and greenest kinds of insulation, cellulose insulation has enjoyed a considerable comeback over fiberglass and polyurethane in the wake of the present day focus on green living. Not only does it insulate your house which could dramatically decrease energy consumption nonetheless, it can also be produced from recycled paper fiber. Cellulose insulation has the extra advantage of being a fully low-cost choice for North Carolina homeowners who wish to renovate their walls and attics without breaking the bank. Cellulose may be tricky to set up properly, which explains why you need to have it professionally installed. A professional installer from AMI Builders NC knows how to utilize blown cellulose insulation to difficult surfaces, like slopes, and is experienced in the most effective methods for filling wall cavities to cut back settling that could cause gaps within your house insulation. Whether you decide on loose-fill or wet-spray cellulose installation, you are able to be assured that individuals have the knowledge and know-how to get the absolute most from your home insulation. With more than 25 years with experience in home remodeling, we’re North Carolina’s trusted selection for roof, basement, replacement windows, attic insulation, and remodeling needs of all kinds. 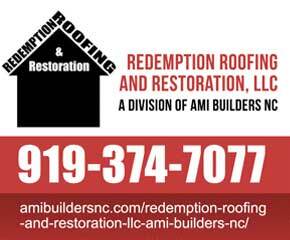 Contact AMI Builders today to learn more on cellulose insulation for your North Carolina home.